A mother and daughter stand in a hotel lobby in Kochi with confused looks on their faces. The cause of their bafflement is a pretty, doe-eyed, slight girl dressed in a bright canary yellow sweater with a hoodie and flared jeans, standing nearby, talking nineteen to the dozen. The duo musters courage and approaches her enquiring, “Aditi Singh?” Though the girl’s name is not Aditi, she answers ‘yes.’ The mother-daughter duo breaks into a smile and gushes about how much they admired her role in Godha. Wamiqa Gabbi’s fans are not to be blamed for their failure to recognise her instantly; she has lost all the weight she gained for her role as a wrestler in Godha and looks like any normal girl her age. After wrestling her way into the hearts of her audience through her debut Godha, Wamiqa is all set for her second Malayalam project, 9, directed by Jenuse Mohamed. Lady luck is surely clasping tight Wamiqa’s hand. If her debut film had Tovino Thomas in the lead, her second one has Prithviraj cast opposite her. 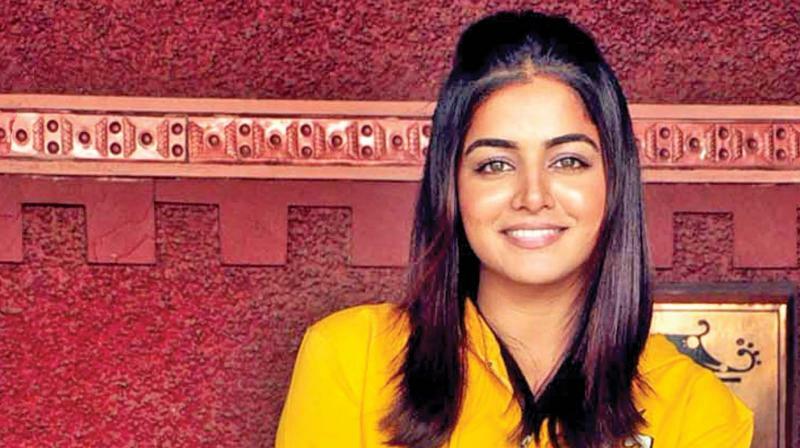 The call for 9 came while Wamiqa was shooting for a film in Chandigarh. “The team was on a recee in Manali and said that they would be passing through Chandigarh and that they would like to narrate the story to me.” Once the narration was over, Wamiqa was entranced. “I loved the script as well as my character, but I kept on asking them why they felt that I would be apt for the role,” she reveals. She goes into a reverie. “It has been two years since Godha, but people still call me Aditi and that kind of love is a blessed feeling,” she states, adding, “I had got some offers after Godha, but I did not like them. I wanted a special character the second time around and Eva of 9 is just that!” Though she does not want to reveal too much about her character, Wamiqa is gregarious when it comes to talking about her co-star Prithviraj. She admits to being a fan of his Bollywood film Aiyyaa and naughtily says, “I remember boasting to my friends about shooting with the ‘Aiyyaa man’ and they were so jealous! They even wanted to know where I was shooting, so they could all come there, to which I had to put my foot down. Imagine Prithviraj being serenaded by a bunch of Punjabi girls,” she laughs. On a serious note, she feels that Prithviraj and she share the same love and passion for cinema, which inspires her to love the art even more. Wamiqa is at home in Mollywood now, but that was not the case some years back when, like many actors from up North, she had misconceptions about the industry and its working. She candidly reveals that in the North, the South Indian films that people see are what are telecast on the telly. “They are mostly commercial and there is skin show involved, so I was hesitant when I did my first Tamil film. But that project was an eye-opener for me.” The film, Maalai Nerathu Mayakkam, made her see the professionalism and inherent talent present in the industry. Later, she started watching films from the South, growing to respect their content and execution. “After returning to Punjab, my main mission was to educate all the people there about the terrific and talented industry down South! I am glad to have changed a lot of perceptions,” she happily completes her sentence. The gregarious girl child talking has no similarity with the hard talking and hard hitting Aditi in Godha, for which she had to pile on the kilos and lose them in a month for a Punjabi film. “I am not the kind of person who finds it easy to gain and lose weight, so when I started getting roles for which I had to gain and lose weight, I said no!” she confesses. Wamiqa, whose unusual name means ‘goddess of wind’ in Arabic, was named by her Punjabi writer dad. “Imagine, he is a Punjabi writer and he selected an Arabic name for me,” she quips. She confesses to her name being mispronounced quite a lot. Moving on to the personal front, not many know that Wamiqa is also a good painter who is a self-taught artist. “I paint during my free time. I love the world of colours and though I never had any training, I hope to remedy that soon. I love sketching and my bag always has sketch pencils,” she adds.